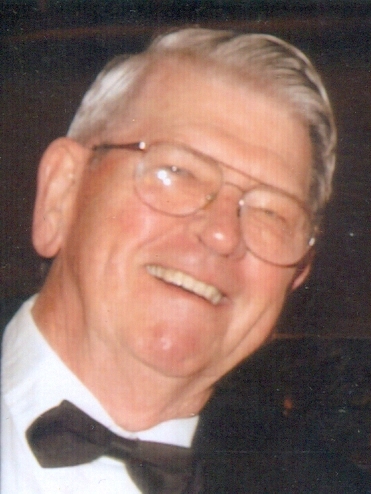 James H. Mitchell, 91, of Main St. Elbridge, passed from this life March 26, 2019 cared for by his family at the home of Gale and Marcy Mitchell having lived with them for three years. Born in Stamford, NY on 11/28/1927, Jim moved to Elbridge in 1957 and lived there since with 10 years spent in Florida. He was a member of Elbridge Community Church since 1959 and was involved with many activities there over the years. Jim was active in several organizations including Boy Scouts, Jordan Lodge #386 F&AM, Lions Club, and Teamsters Union. He was a leader in any association to which he belonged having achieved the highest honors in many. Jim was a role model for many and was loved by all. He was a wonderful husband, father, grandfather, great grandfather, and friend. Surviving are his children John I. (Susan) Mitchell of Fairfax, VT, Donald J. (Sara) Mitchell of Cazenovia, Gale T. (Marcy) Mitchell of Elbridge and Barbara Mitchell (Vince) Ely of Elbridge; a brother Ken Mitchell and a sister Mona Como; 10 grandchildren with one, Heather Ely having predeceased him; 19 great grandchildren. Jim was predeceased by his wife Jean of 59 years in 2004 and his fiancé, Rita Pachoud, in 2017. Services will be 11am Saturday, March 30th in the Elbridge Community Church. Friends may call 4-7pm Friday at the Bush Funeral Home, 120 E. Main St. (Rt. 5) Elbridge. Masonic Services will follow at 7pm. Contributions may be made to the Jordan Masonic Lodge Memorial Fund, P.O. Box 418, Jordan, NY 13080 or Hospice of the Finger Lakes.